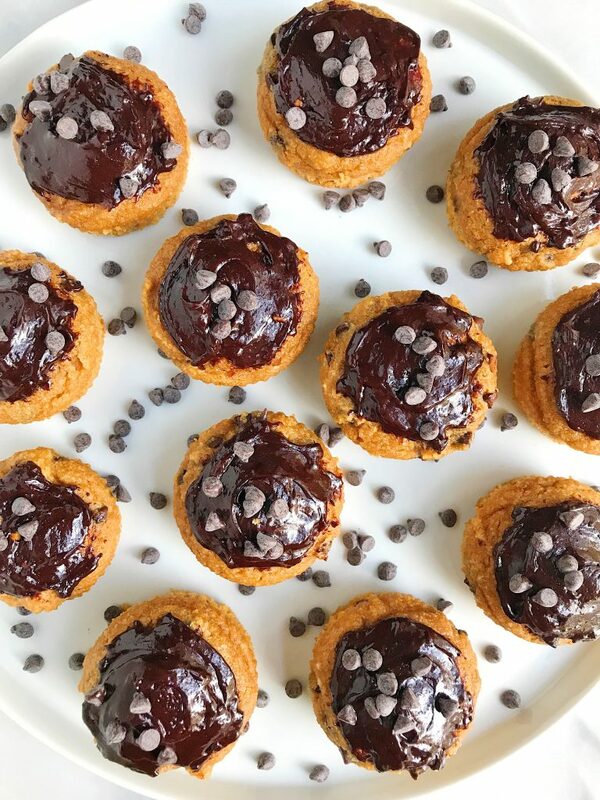 Super easy and delicious 5-ingredient Mini Paleo Chocolate Chip Cupcakes! With as much baking that goes on in my kitchen, I am not sure why it has taken me this long to come up with a classic cupcake recipe to share. 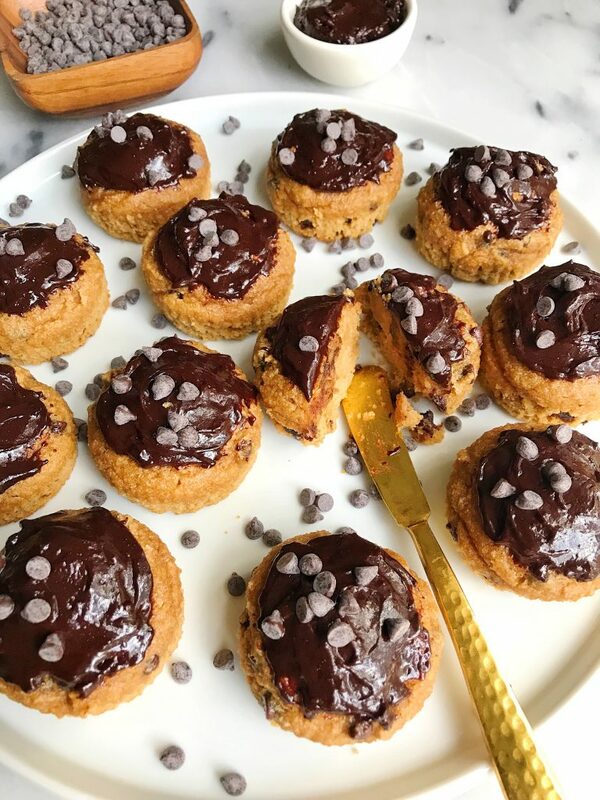 These Mini Paleo Chocolate Chip Cupcakes are the cutest and most delicious cupcakes. They are super simple and easy to make and the perfect recipe to use if you don’t have a go-to cupcake mix that you like or if this one (my personal fav). edients including Handsome Brook Farm pasture raised eggs and there is a pretty solid chance you have most of them on hand already if you bake a lot of recipes I share on here. No fancy pastry flours or buttercream are happening today. We are using almond flour as the flour for the cupcake, coconut sugar to sweeten it, almond milk for a little creaminess and of course eggs, which are key in these cupcakes. A couple months ago I shared my go-to Savory Breakfast Tacos with Coconut “Cream Cheese” featuring Handsome Brook Farm pasture raised eggs. I love using their eggs for cooking, baking, poaching, anything! Their eggs come from organic-fed, pasture raised hens. Plus they are fed an all-natural diet, giving their eggs that trademark golden-orange yolk! Handsome Brook Farm doesn’t work with factory farms. Instead they work with a supply of small, organic family farms that raise happy hens who have plenty of room to move around and live. And their farmers make sure the hens get sunlight and health check ups. I really never even considered things like this until I started using Handsome Brook Farm and learned all about the eggs they provide for us. It is amazing! They are found at a variety of retailers but check out their store locator for where you can find them near you. Plus you only need two eggs for these cupcakes so once you bake them, enjoy some of those savory tacos we spoke of earlier! Don’t forget your favorite frosting to add on top or you can make your own with my refined sugar-free chocolate frosting recipe, YUM! Thank you Handsome Brook Farm for sponsoring this post. It means so much to me to work with brands that I love and who support rachLmansfield!